Are student grants going to be axed by BIS? Posted 22nd June 2015 & filed under Blog, Education, Intergenerational Justice. 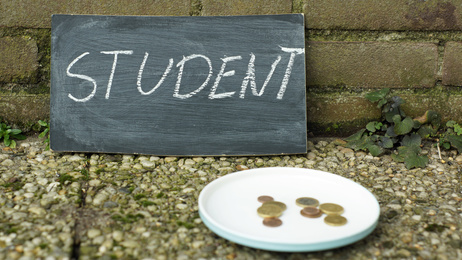 Financial grants that are given to young people attending to higher education in order to help them meet the cost of living may be either abolished or radically reformed as part of BIS austerity measures, according to recent reports. The background to this story is that BIS is one of the government departments which hasn’t been “ring-fenced” from future spending cuts by the Conservative government, so it appears they are now looking at possible ways they can retrench ahead of the special Budget speech on 8 July. Student maintenance grants currently cost BIS £1.57 billion per year, as more than half of all higher education students in the UK are eligible for them. They are designed to be a way of assisting young people from poorer backgrounds to access university, as the amount someone receives is means-tested. The maximum amount of grant that someone can currently receive stands at £3,387 per year for students from homes with household incomes of £25,000 or less, and the level of support which they are eligible for gradually tapers away as their household income rises, to the point that someone whose parents earn £42,620 per year loses their eligibility completely. How would this affect students? The news that cuts to student grants may be in the pipeline has prompted a variety of different responses, partly because no-one is yet sure exactly what form these cuts would end up taking. On the other hand, the National Union of Students warned that their research has shown that students from poorer families are more likely to be deterred by high levels of debt, so any changes to the system which would result in individuals having to borrow more to undertake their studies would be likely to reverse some of the gains in widening access to higher education which have been achieved in recent years (although current admissions numbers suggest that increasing tuition fees has not deterred people from poorer backgrounds from applying). Possibly the most interesting response to this news has come from the policy blog Wonkhe.com, where expert analyst Mark Leach warned that the possible changes to maintenance grants may well not actually save the government any money in the long run. If the changes took the form of the converting the current grants system to loans (which seems more likely than abolishing them completely), this would simply add to the pile of overall student debt on the government’s balance sheet. Current estimates from the Institute for Fiscal Studies suggest that around 45% of this will end up being written off if graduates don’t earn enough during their careers to pay it back, so the government is already facing massive write-downs on student debt – which converting maintenance grants into loans would likely increase in the long run. Amid all the uncertainty, one thing seems to be for sure: the major changes to higher education funding which began under the Coalition are far from settled yet.